Home › Composite decking › Patio or Pergola. What is the difference? And why wouldn’t we want to be outside? It’s healthy, de-stressing, freeing and invigorating. So, how do you choose the right shelter for you and your home? One that maximises space but blends in with your home; one that give you extra valuable space to enjoy, one that adds that WOW factor to your property and of course one that adds $$ to your property. And just what is the difference between a patio and a pergola? A pergola does not have a fixed roof. 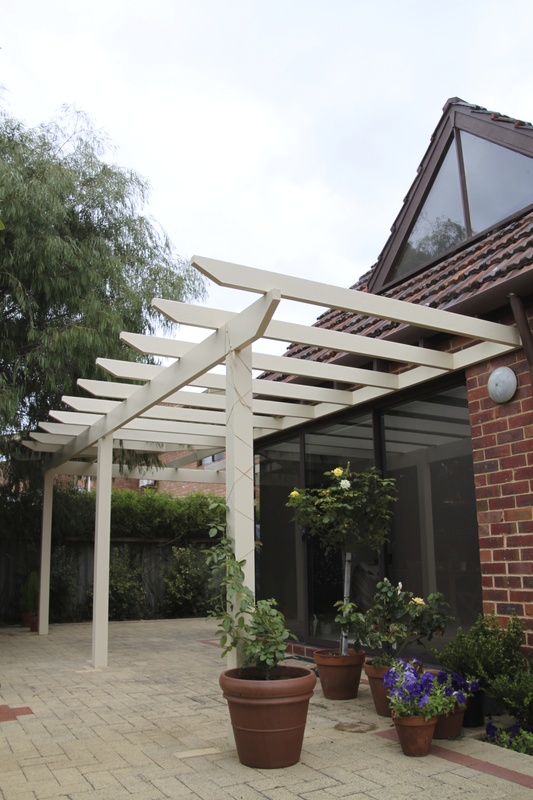 Instead, a pergola has an open style cover of rafters and battens. Pergolas can and do look wonderful. You may like the Mediterranean look, beachy, romantic or contemporary; thin posts or thick, laminated beams or rough sawn. Whatever style you prefer, Castlegate Home Improvements can create a pergola to compliment your home and your lifestyle. PROS: Timber balances man made elements in your outdoor area. A pergola is less expensive than a fixed roof structure. Can grow climbing plants on your pergola. A pergola won’t eliminate light or heat unless covered with vegetation or shade cloth so you will still catch the daylight and that gorgeous afternoon winter sun. CONS: No solid roof and your timber pergola will require painting or staining. A patio has a solid fixed roof with steel or tin roof sheets, polycarbonate sheets or roof tiles. A council permit is required to build a patio. Your patio can be simple and effective in keeping the weather off and out of your outdoor living area or it can be a showpiece. Whatever style you like, Castlegate Home Improvements work with you to create the perfect patio for you. Like ceiling lining with outdoor lighting or fans? A decked floor, balustrade? If you can dream it, we can build it. PROS: A covered outdoor area that is useable year round. Will increase the value of your home and the amount of living space you have. CONS: A patio is more expensive to build than a pergola and a council permit is required. 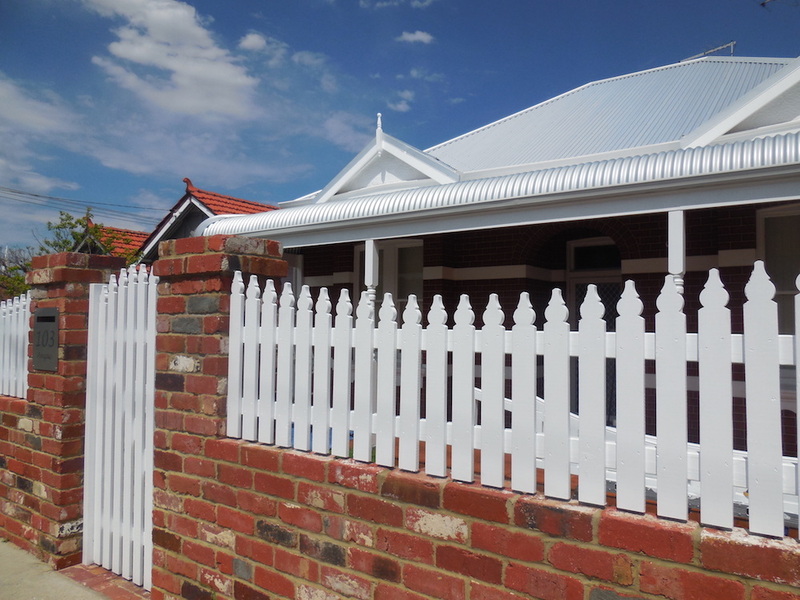 A bullnose veranda is a structure attached to the house or garage and has a curved roof sheet a bit like a bulls nose. It is uniquely Australian in design and dates back to the Edwardian times (1901 to WW1). The roof sheets are custom curved to the exact specifications of the structure being built for the house. Not only does a bullnose look beautiful, it adds shade to your home so you wont need to run your air conditioner day and night to keep cool. Now that’s worth thinking about! CONS: A height of at least 2.7 meters from the ground to the eaves is needed to have a bullnose veranda. 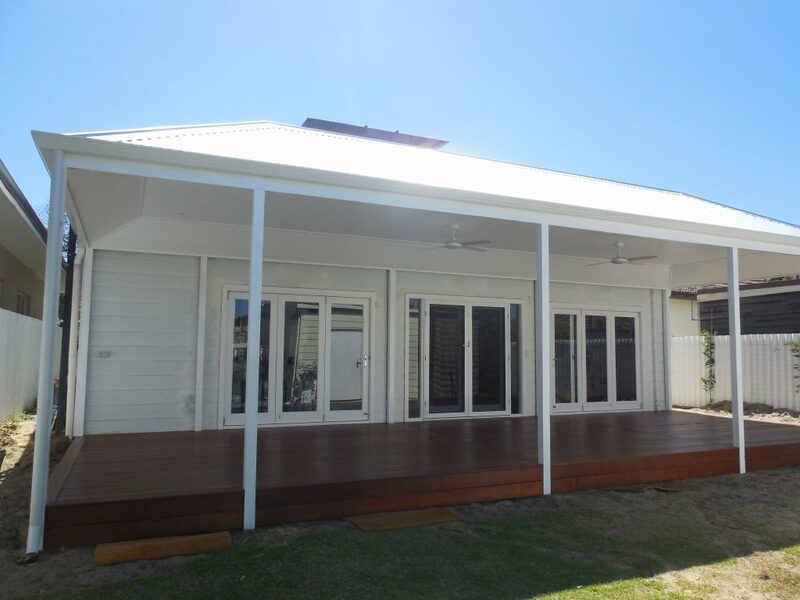 A veranda is attached to the house, at the front or the back or a wrap around the house and is a very versatile option for shelter, cooling the house so reducing air conditioning bills and for style. The roofing for a veranda is tin, steel, polycarbonate or tiles. PROS: Adds style and elegance to any home. Is functional adding plenty of shelter over your doors and window and reduces heat streaming into the house. 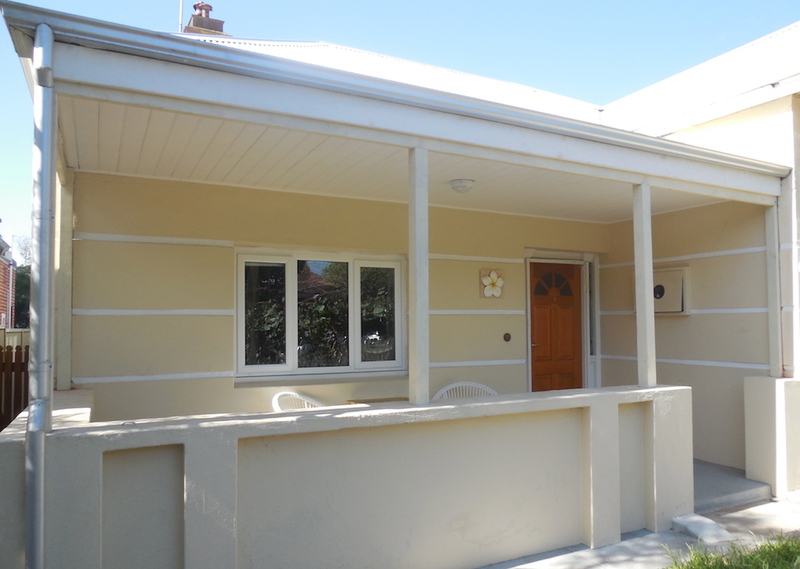 CONS: A wrap around veranda requires space on all four sides of the house, at least 1.2 meters from the boundaries. Whatever style of outdoor covering you prefer, Castlegate Home Improvements can build. We even handle council permits so you don’t have to.